As the cost and environmental benefits of oil to gas conversions become readily apparent in Morris County NJ, more residents and business owners are beginning to see the positive attributes of completing this important conversion. 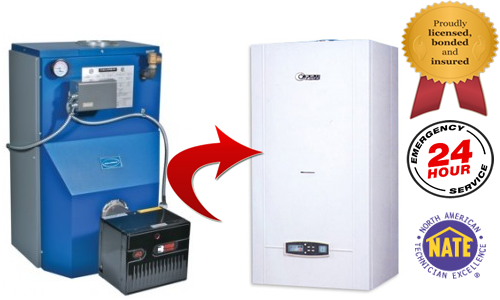 And regardless of the size of the conversion, the experienced team at Morris Heating has the experience and knowledgebase to get your oil to gas conversion in Morris County NJ completed quicker and more affordable than you’d think. 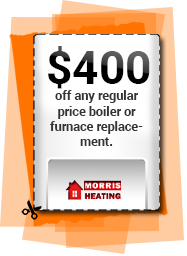 Over the past 20-plus years, Morris Heating has established itself as a leading provider of oil to gas conversions in Morris NJ and surrounding counties. As a licensed, bonded and insured company, we strive to ensure ethical and open communication with all of our customers. And whether you own a 100,000 square foot industrial building or a private residence in Morris, we have an affordable solution tailor made for you and your oil to gas conversion needs. What are the benefits involved with this change? Oil and Gas Conversions in Morris NJ is Safe: One of the biggest concerns that home owners and commercial building owners often have is whether or not converting their heating system from oil to natural gas is safe. When you work with the industry leaders at Morris Heating, safety and security is always our top priority. Gas Conversions in Morris is affordable: Believe it or not, the process of converting older and outdated oil systems to gas is not as hard as you’d think. However, it does take a professional and certified heating repair company like Morris Heating to complete this job safely. Gas Conversions from Oil is good for the environment: When you take the proactive step to convert your older Oil heated system to natural gas, it’s a positive step towards protecting the earth’s environment and saving money too.